The precision seed and fertilizer planter is a manually operated machine with double compartments for seedling and fertilizers. It enables rapid planting, prevents overcrowding and improves crop health and development. If you wish to achieve precision planting for your grains and simultaneous application of fertilizers on the farmland, then this planter is your recommended choice. For more information on how to use this machine, please watch the attached videos. A planter is a farm implement that sows (plants) seeds in rows throughout a field. 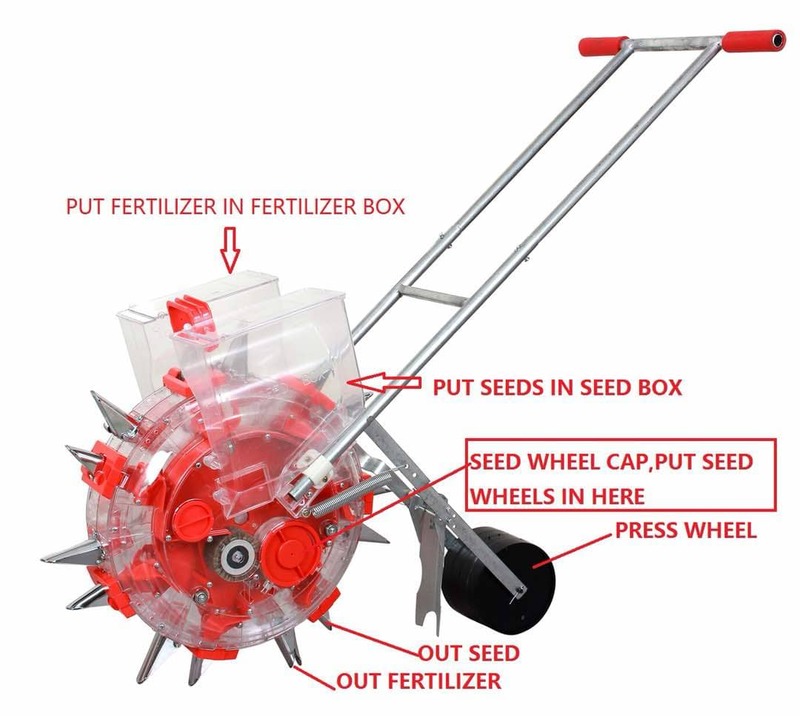 The precision seed and fertilizer planter is used to plant seeds in precise arrangements into the soil as well as simultaneously apply fertilizer to crops on the farm while planting. 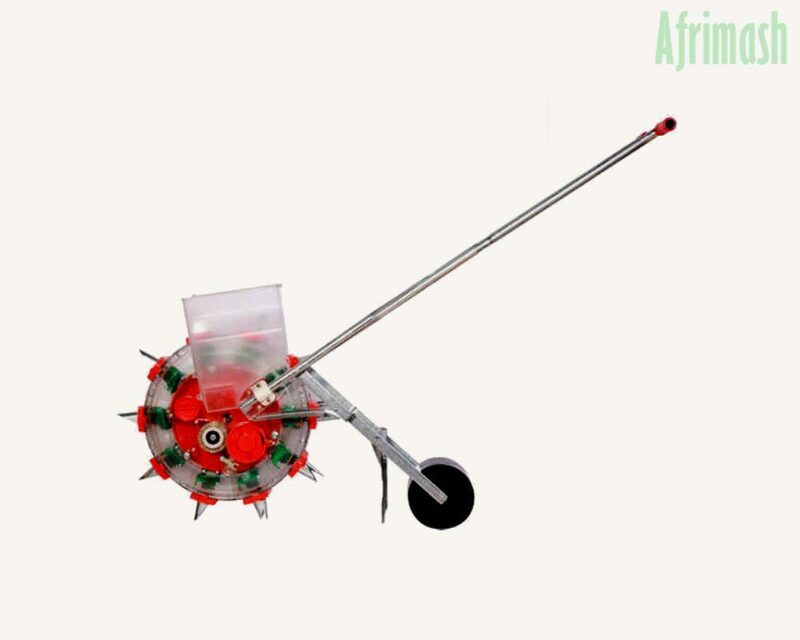 This product has a simple and versatile arrangement which is suitable for farmlands, plains, hills etc. Sharp lips make seeder plant through terrain constraints. Transparent body material which is also user-friendly. This ensures the farmer can visually see the accuracy of the next seed. The transparent casing also enables viewing of the remaining number of seeds and fertilizers. 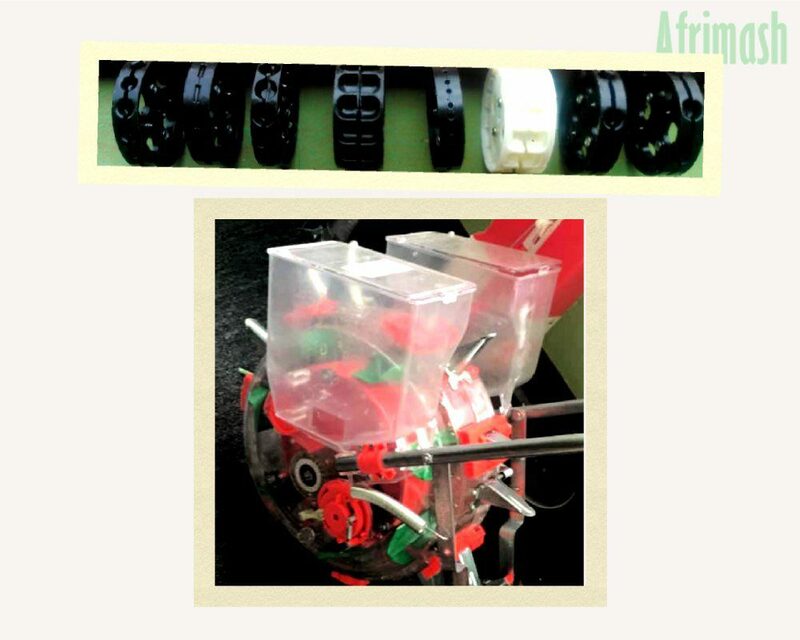 Adjustable repression drums height, and the lower seed depth, angle change, to ensure the emergence of seeds. This planter is can be balanced by the line spaces as it is furnished with some spacers. Utilizing diverse spacers ensures the sowing width can be adjusted. High-quality parts ensure the wheel rolling bearing more lightweight and is durable. This planter is outfitted with various seed rollers, suits for various sizes of seeds, for example, corn, soybean, sorghum, millet, etc. There are about 10 outlets and the column space can be adjusted in 15.5cm,17cm and 19cm. Suitable seeds: Maize, beans, peanuts, cotton and so forth.